Salla is a municipality of Finland, located in Lapland. 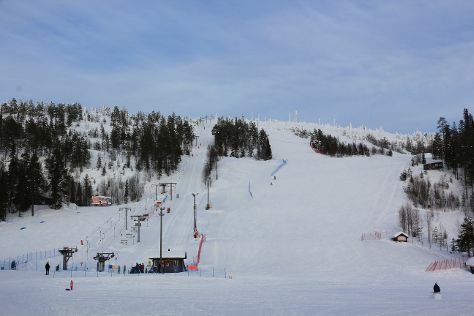 On the 19th (Tue), fly down the slopes at Salla Ski Resort, then learn about all things military at Salla Museum of War & Reconstruction, and then contemplate the long history of Paikanselan Taistelualue. To find ratings and other tourist information, read Salla road trip planning site . Tel Aviv, Israel to Salla is an approximately 14.5-hour flight. Expect cooler temperatures when traveling from Tel Aviv in March; daily highs in Salla reach -1°C and lows reach -13°C. Cap off your sightseeing on the 19th (Tue) early enough to travel to Akaslompolo. On the 20th (Wed), take an exotic tour of a safari tour and then head outdoors with Seven Fells Up. To see photos, ratings, where to stay, and tourist information, refer to the Akaslompolo itinerary app . Getting from Salla to Akaslompolo by car takes about 4 hours. In March, daily temperatures in Akaslompolo can reach 0°C, while at night they dip to -10°C. 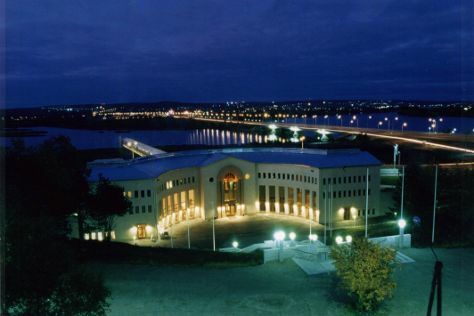 Wrap up your sightseeing on the 20th (Wed) to allow time to drive to Rovaniemi. Start off your visit on the 21st (Thu): get engrossed in the history at Arktikum, stroll the grounds of German Soldier s Cemetery, then enjoy some diversion at Santa Claus Office, and finally take an exotic tour of a safari tour. For where to stay, other places to visit, photos, and tourist information, use the Rovaniemi holiday maker app . You can drive from Akaslompolo to Rovaniemi in 2.5 hours. Another option is to take a bus. Expect a daytime high around -1°C in March, and nighttime lows around -9°C. On the 22nd (Fri), wrap the sightseeing up by early afternoon so you can travel back home.